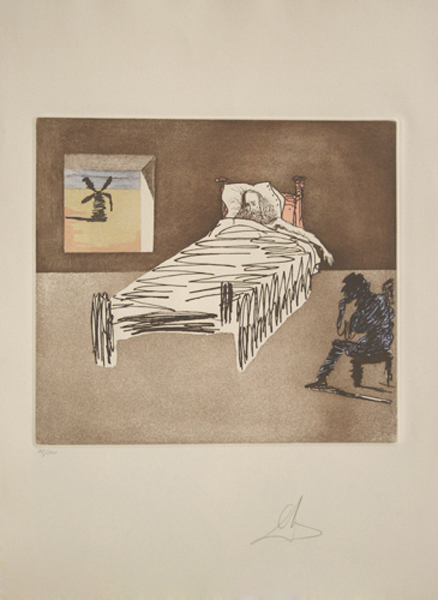 SALVADOR DALI RARE FABULOUS BEAUTIFUL ORIGINAL ETCHING. Hand Signed and Numbered by the Artist. Certificate og Authenticity Included. Artwork is in Excellent Condition. From the "Historia de Don Quihotte la Mancha". Paper size is 29x22". This is a treasure that can be appreciated for a lifetime. It can be placed in your home, office or any elegant public space. Click the button below to add the Hand Signed Le Legacy By Salvador Dali Retail $3.2K to your wish list.